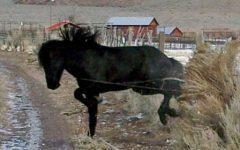 When planning our horse fencing we need to consider some important peculiarities to horse behaviour. Today we are considering the flight instinct which is so prevalent to horse behaviour. 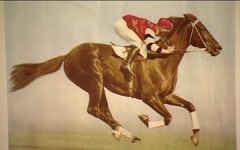 From a young age we are all aware that Horses are flighty animals. I can recall riding my bike as an eight year old with my mates around some of the local farms, and inevitably ending up at a particular horse farm (and please don’t hate me for this) stopping to feed their horses grass or carrots brought along for the purpose. One of my earliest memories of these moments is just how big and powerful a horse is up close to an eight year old and also just how easily startled they were as well. Drop you bike when you arrive at the fence, they all startle and run away, shout at a mate and of they go again. 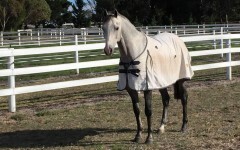 Quickly we all learn to approach horses in a calm way and attempt to make a safe and calm environment for them. I think it’s a blend of a horse’s softness (timidity and gentlenss) with their obvious power and strength that makes them so loveable. Some suppose that evolution has left horses with a “prey instinct”. Whether that’s by design or an evolved trait the character description certainly fits. They tend to view objects as a threat until they prove otherwise, and their vision is suited to and focused on the distance for threats. They also appear to scan quite long distances and view far away objects as potential dangers. Sometimes that can leave their owners completely confused as to what has startled them. 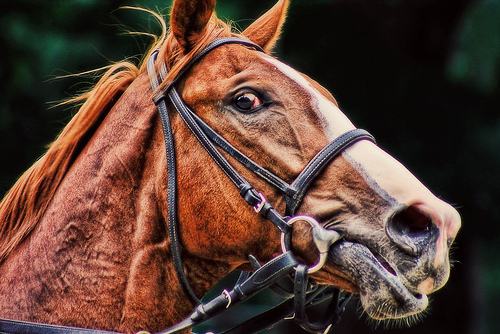 Studies have also shown that when a horse is startled or panicked its vision perspective changes. They look further into the distance, as if looking for safety in the horizon, and are less aware of things nearby. 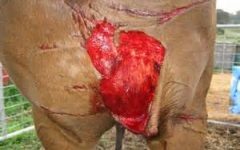 This makes impact with horse fencing all the more likely as they simply tend to focus on areas well beyond the fence once startled. Highly visible fences at appropriate heights are critical. 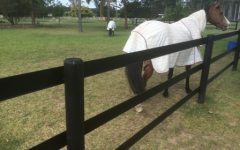 We need to get the top horse fence rail in their eye line, and use appropriate colours and dimensions to get their attention. 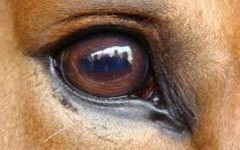 We will discuss horse sight and colour vision in more detail in a later blog. 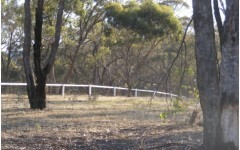 Due to the peculiar vision perspective of horses, that they tend to focus on the horizon, try to make use of large landmarks around boundary fencing. 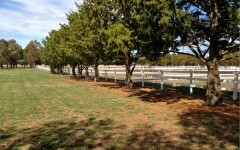 Horse will likely see the large tree over the fence, before they see the fence when startled. 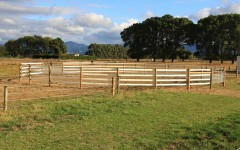 All horse fencing needs to give a little, but be sturdy enough to handle the impact Sturdy enough to discourage a second attempt but enough give to prevent serious injury. 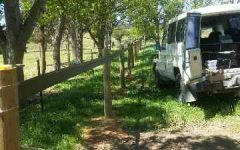 Simply the risk of horse impact with fencing can be minimised but not avoided entirely, we need to plan for this. 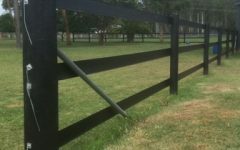 Traditional timber fences are particularly unforgiving and injuries do occur, flexible yet sturdy fence rails should be preferred. 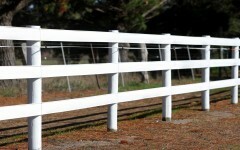 Fencing needs to be easily maintained so it can be kept sturdy and safe. Often a well maintained fence is safer than a “better fence”. 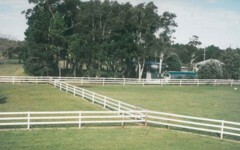 Horses need to be made familiar with their enclosures. 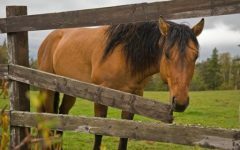 Take particular care when introducing horses to new paddocks and yards to familiarise them with their surroundings and do what you can to minimise potential frights. Also consider familiarising your horses to the enclosures at night as well as day. Sounds and movement are more likely to fright in the night than during the light. Plan sensibly and separate horses from other noisy activities. Put some space between your horse yards and hubbies man shed where he uses his power tools and keep some distance from where the kids ride their motorbikes. 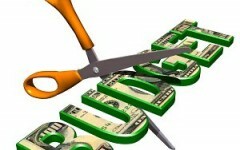 Make sure the chosen fence has no rough or sharp edges or corners for when impact does occur. Look for low profile fittings and brackets. 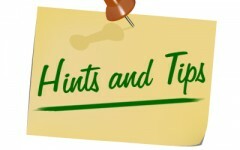 I hope you have enjoyed this blog on this aspect of horse behaviour. 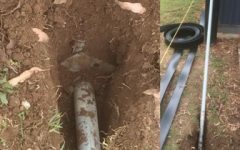 For further information on our fencing material and its benefits see Why Use Bounceback.